This is my first short barreled AR build. Shot it for the first time today to zero the optic. About 60% of the time, it would jam trying to chamber the next round. The bolt does not lock back after the last round everytime. Showing significant brass markings on the brass deflector and more dents in the brass than usual. 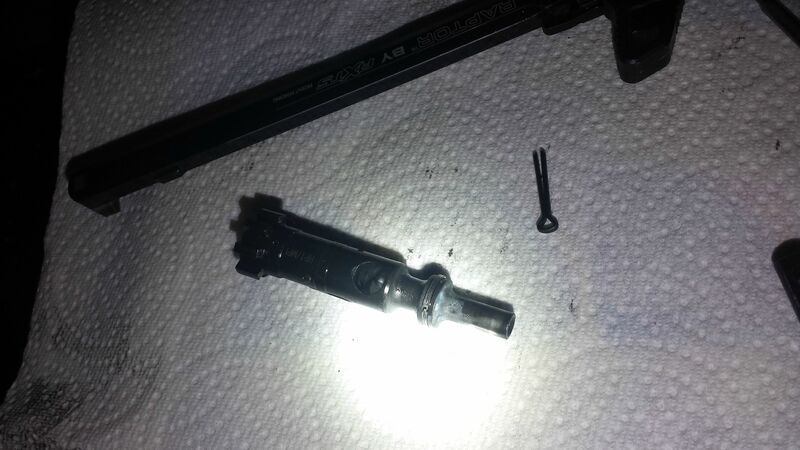 When I disassembled the gun, there looks to be unburnt powder in the bolt and chamber. -Geissele super gas block .750"
Magazine is HK polymer mags, ran 100% through my 16" AR, so I know they are not the problem. Lower was tested on a 16" upper and had no issue. What would be the best way to fix this problem? It seems like changing to a lighter buffer and spring would fix this? I'm wondering what type of setup you guys have with this barrel length to run smoothly. What is the weight of the "standard" buffer? You may actually need something heavier. I have a 10.5" AR that runs fine with the stock components I got with my PSA build kit, but I have a buddy with a 7.5" AR and he actually needed a heavier buffer. His was malfunctioning the same as yours. After we put the heavier buffer in it ran like a top. I would also recommend a heavier buffer. You are probably overgassed. When you state it was short stroking, do you mean that it was not ejecting the empty casing? 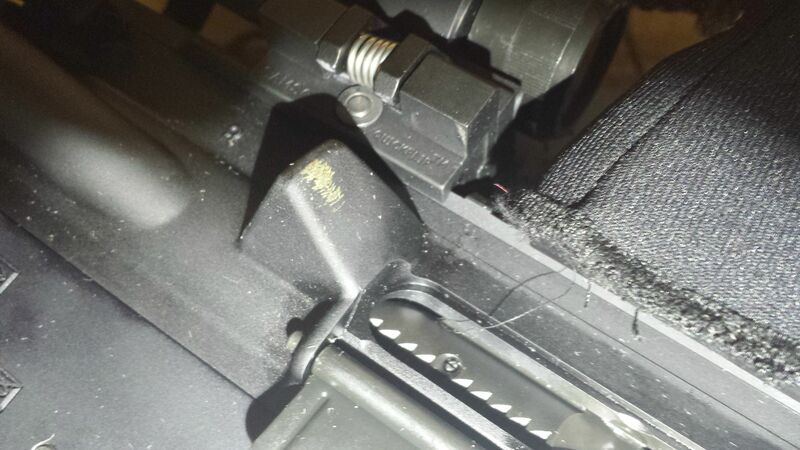 Start with a thorough cleaning of the barrel, chamber, and bolt carrier assembly, making sure you use a chamber brush. Then lubricate the 7 bolt lugs and rails of the bolt carrier assembly until they are good and wet (glissening like a glazed donut) with a quality lubricant, my recommendation is Slip2000 EWL (Extreme Weapons Lube). 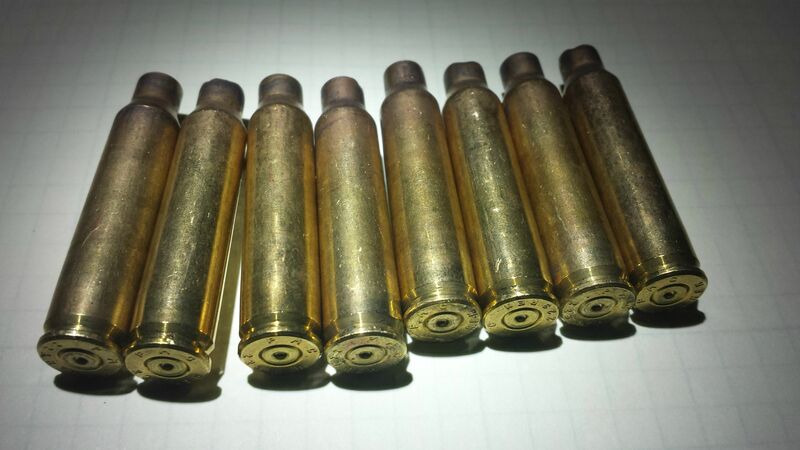 Have you tried different quality American manufactured ammunition? The PMC is often times found to be softer shooting, so maybe try something else to see what results you get. Also make sure that your gas block is in proper alignment. As for the unburnt powder that can be seen in the pic, did you have a misfeed where the bullet was pushed back into the casing? 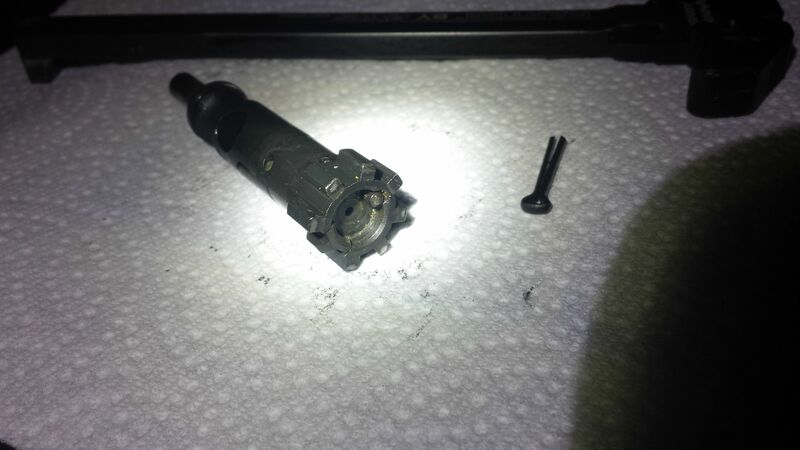 Every round ejects, but not all rounds are able to chamber...sometimes left hanging like in those pictures or no round in the chamber at all...so this is an overgassing problem? 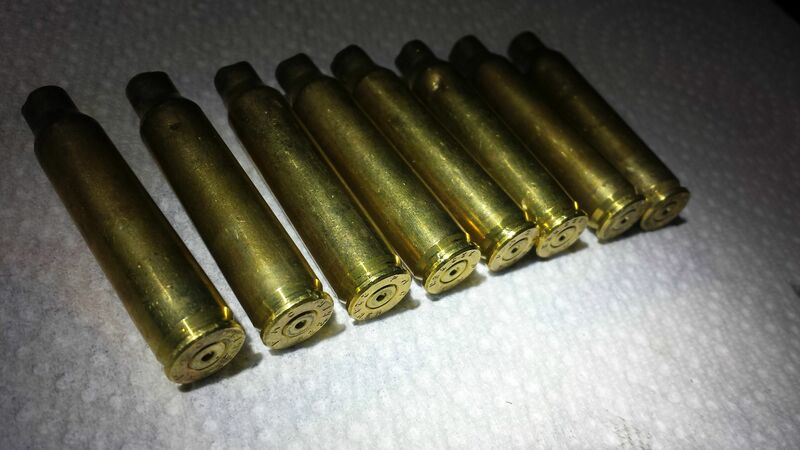 I reload, but I will try some hotter ammo like federal 5.56 through it, as I am using factory ammo as a baseline. Check the spent case rims for signs that the extractor is starting to bend the rim on the extraction pull. This will be caused by over cycling, or the chamber rough or not cleaned correctly. 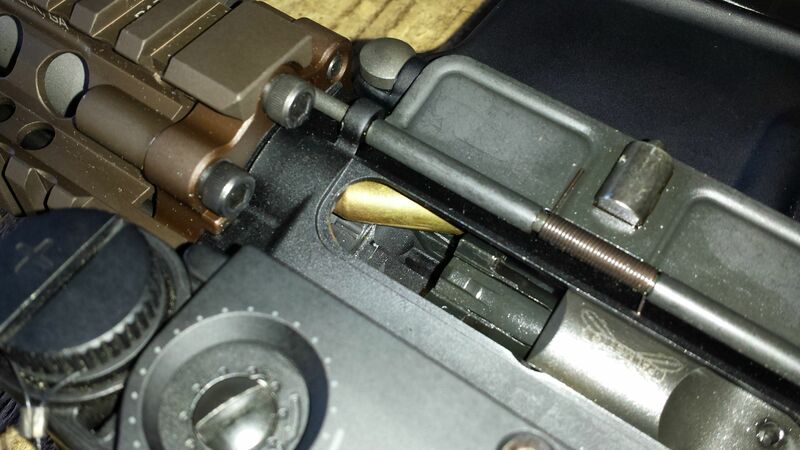 If the if no signs of a heavy extractor pull, then the problem is not enough gas pressure down the gas port to cycle the rifle correctly instead. Now before you touch anything elese, check the gun for leaks in the gas system, or even the gas block not installed correctly on the barrel and it partial blocking the barrel gas port. Now the fact that the ammo is leaving a lot of unburnt powder behind, would dare to guess that the ammo gun power being used for those rounds are on the slower burning side, and the problem may be a under stroke due to lack of gas port pressure instead (if the gas port in not leaking gas system/ the barrel gas port blocked by the gas block not installed correctly). As for a 10.5" barrel, it can very ammo sensitive and some ammo's may over function, while others do not have enough pressure at the gas system to cycle the rifle correctly instead. Short bus, you are shooting ammo with gun powder meant to be burned in 16" of barrel or better, and depending on burn speed of the gun power being used to load the ammo, it's what causes the ammo sensitivty in the very short barrel will little bore past the gas port. As for cheating, the game here is to add bore back pressure with a muzzle device, which allows more back pressure/acts like you have longer bore after the gas port to allow for a wider gun powder speed burn of ammo's. The flaming pig is one type device that will add bore back pressure, while a suppressor will as well. Lastly, leave adjusting the gas port as the last option if you find the rifle under gassed, since buffer mass, and even recoil spring tension are faster to tune a rifle in for select ammo's instead. See some slight wear on the rim of the cartridge from the extractor, but not enough to dent it in a major way or deform the rim. How would be a way to check for proper alignment of the gas block and potential leaks short of firing it? The Bolt carrier fits the gas tube inside the upper with no interference. Are there any powder sneezes around the gas block or anywhere? And I assume you did the last round hold open test before posting, yes? How is that an overgas or too light a buffer problem? Maybe I'm looking at it wrong but seems like under gassed and short stroking to me which would be lighter buffer and/or spring while making sure the gas block isn't choking things via misalignment or not opened enough for the adjustable. 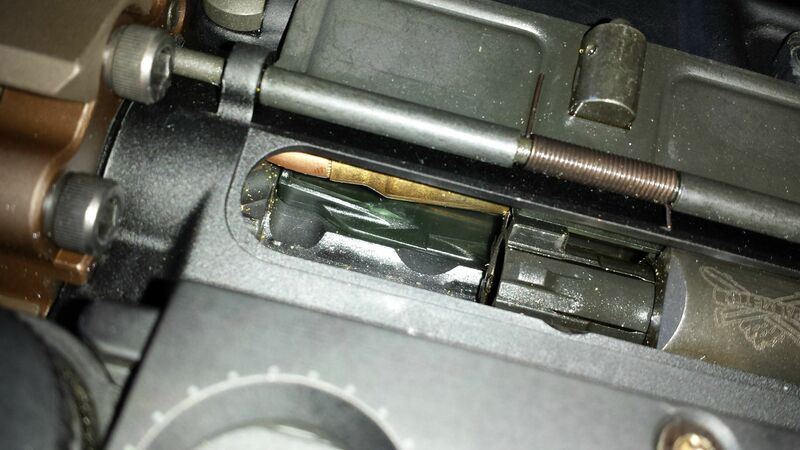 Getting just enough clearance to eject but not quite enough to get all the way behind the next round and strip it from the mag properly, it appears to be attempting to strip it by grabbing/scraping it out of the mag along the case wall. I thought so at first, but every round I fired was able to eject, and made a visible marking on the brass deflector. Looking at some videos of short stroking, the ejected rounds did not touch that far back and you would still have some ejected rounds in the chamber or partially sometimes, which i never seen. The problems I encountered were only when cycling the next round most of the time and locking back on an empty magazine. Also I had another buffer laying around made by PSA and it was also 3.0 oz. Bolt holds open after last round when I manually do it, tested with HK, PMAG, and GI aluminum mags. Over gassed and under gassed cause the same short stroking problems. In under gassed (pressure through the gas port), not enough carrier pressure through the gas tube to drive the carrier to unlock fast enough so it will full stroke. When over gassed (pressure through the port again), bolt is trying to unlock too fast with the residual pressure of the bore too high, pressure welding the spent case to the chamber wall, and the force of the bolt trying to pull the spent case looses too much momentum for the B/C to full stroke as well. To add insult to injury, with what little bore there is on the 10.5" barrel after the gas port, the barrel is very, very ammo sensitive if the rig is going to stroke correctly. It not the over all working pressure of the loads, but how the powder burn rate that can change the pressure at the gas port instead. So on that note, best to try a few different type ammo's first to weed out ammo problems. As for checking gas system for leaks/blockages. CLP sprayed around the gas block to barrel and gas tube to block, then using a rubber hose on the gas tube end, pressurize the gas tube with about 100lbs of air pressure to start checking the block for leaks. 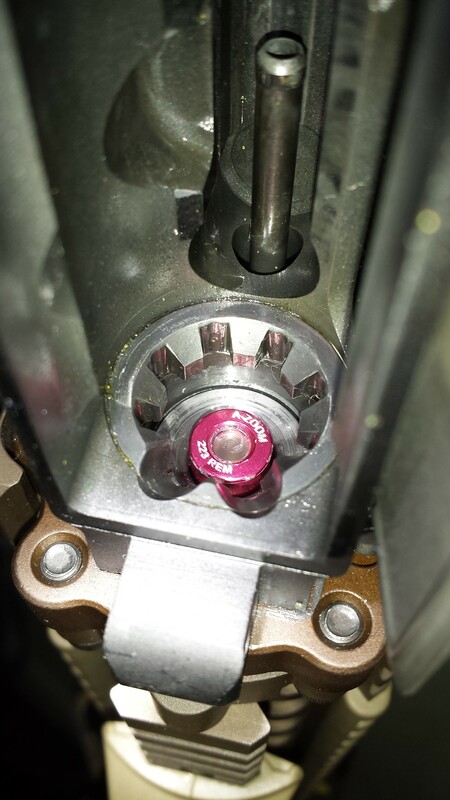 On the B/C, CLP around the base of the carrier key, then hold the bolt in and pressurize the front of the key with around 100lbs of compressed air. On the gas tube to block, maybe a few light bubbles, but on the block to barrel, and the key to carrier, should have no leaks that these connections. As for gas block passage to barrel gas port alignment, pull the block and look for the fouling circle caused by the gas block passage around the gas port. The burn/fouling circle should be centered on the barrel gas port. Note, gas block set screws are loctite in place. So to loosen the set screw, old donor Allen wrench in the set screws, heat the allen wrench to glow until you smell a sweet smell of the loctite bond breaking down, then swap to a new Allen wrench to loosen/remove the bolts. Again, swap to a new Allen wrench since the one you just heated up with a torch to transfer heat, you just annealed it, and it's no longer hardened. The signs are pointing to that it's undergassed. 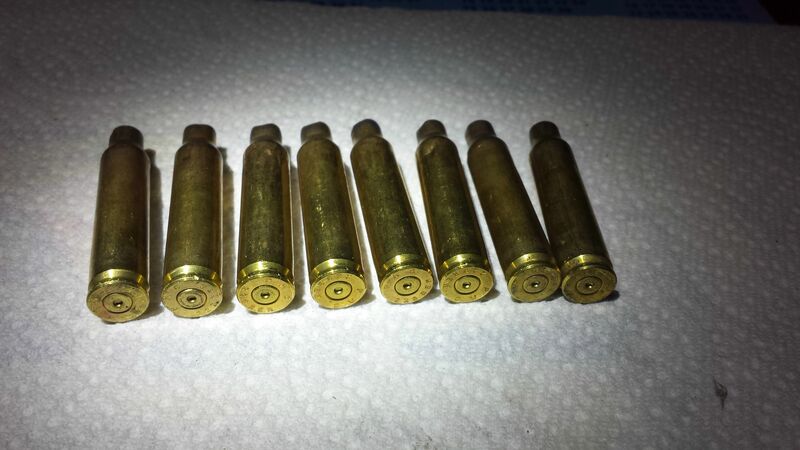 The brass ejects at the 3-5 o'clock position and I don't see any excessive wear on the cases, besides when the bolt gets stuck trying to cycle the next round (as in the pictures in op). Plus I didn't feel any excessive recoil or violent action, but the muzzle brake may have a play in that. Pictures that may help diagnose if I could be wrong. yellow stuff is powder or brass?? 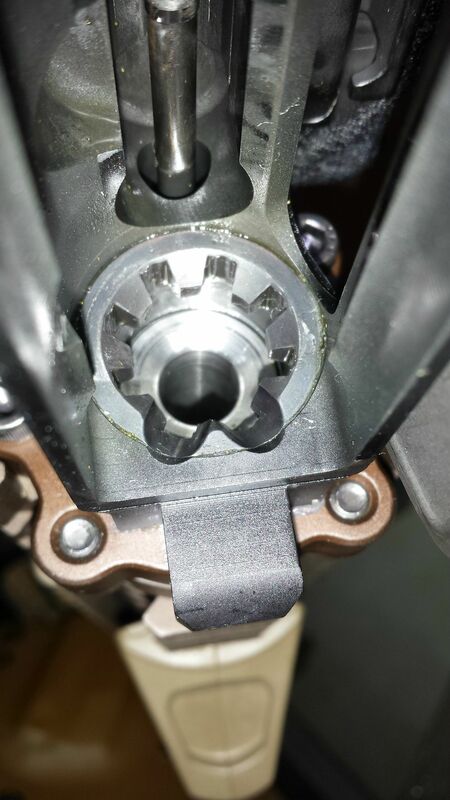 I will check the gas tube/blocks for any leaks tomorrow, but the barrel is dimpled and set screws located on the bottom of the gas block, there wasn't a lot of freedom of movement on the gas block when the screw hit the dimple. The next time I head to the range, i'll try higher pressure ammo. I'll also switch it out with a PSA buffer and spring, which has the same overall weight as my Armalite but looks to have 1 less spring coil. 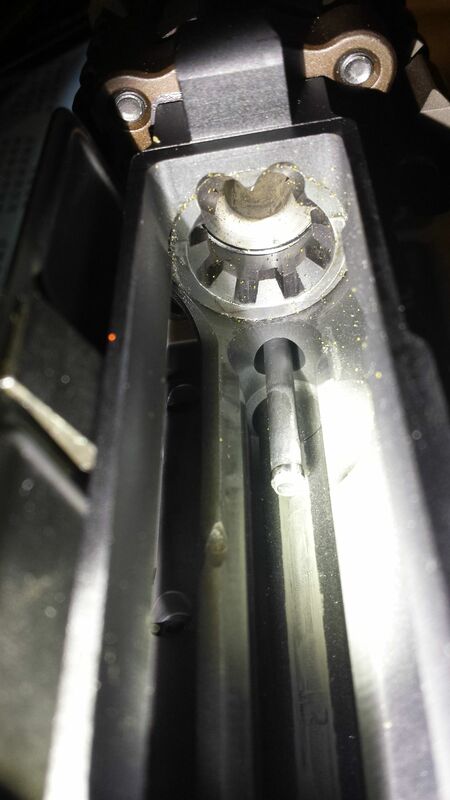 Short of drilling a hole on my barrel, is there a buffer that can fix this that people have had luck with? Need to see the rims where the extractor was pulling out the spent case from the chamber, but looking at the 5 case from the left, looks to be a problem with over function, and a heaver buffer is needed to slow the unlock back down to allow more residual bore pressure to drop down father at unlock for a cleaner spent case pull. Also, your running the upper way to dry, so apply more CLP to the inside/outside of the B/C before firing the rig. The CLP will migrate to the rest of the upper receiver bearings areas to keep them better lubed. Case dings are nature of the beast with the faster cycle speed of the shorter barrel. Velcro on the deflector will keep the brass from being dinged so hard. Back to the spent case rims, not seeing the signs across all the rims of over function for the lot (just maybe on case 4 from the right), and wondering if the problem is a chamber condition or lack of lube for break in problem instead. Did this barrel start off as a SBR barrel, and refresh me on who this barrel came from. Think I heard of someone having the same problems with the Rainier 10.5" 5.56 barrel. I think head spacing and the feed ramps were the problem for him. Do your feed ramps look like the picture on the left? All of my parts, including the barrel, were bought new. Last week was the first time I fired it. Also fired a few hundred rounds with the lower on a 16" upper to test for function and had no problem. Someone suggested polishing the chamber, could that be an issue? I'll look into the feed ramps tonight. Ramp on my pistol with PSA upper looks like the first pic, and I was having same issue every 2-4 rounds. Tried different buffer without avail, but what got it working was PMAG G2. The PSA aluminum mag worked just fine in my rifle so didn't think of trying PMAG at first. From your pics, this thing looks bone dry. Start with a thorough cleaning, then lubricate the 7 bolt lugs and rails of the bolt carrier so they are glissening like a glazed donut with a quality lubricant like Slip2000 "EWL" Extreme Weapons Lube. Try some different ammunition to make sure it isn't ammo related. Got it to work flawlessly with various mags, just needed to have a little more pressure of 5.56. Even put my spikes T2 buffer in with no problems. Tested it with xm193 and my handloads just fine. Just can't use PMC or steel cased .223, which is the other ammo i tested. Made sure to run it wet. No noticeable unburnt power residue either. Did you try wolf gold in it? Dont own wolf gold or know anybody that does. The steel cased was tula .223. Just gonna stick to 5.56 on it for now. My last resort was drilling a larger hole in the gas port, but that is unlikely now that seeing 5.56 run through it is pretty significant pressure. Rounds that would fully chamber in other barrels, wouldn't do so these barrels. I'd have to mortar the rifle to get the round out. Easy enough fix, for me. I just polished the chambers with very, very fine emery pads, and polishing compound applied to a bore swab. Just be sure to only do the chamber, and avoid the lands/grooves. So, what we learned is that it was a relatively undergassed situation (short stroking) due to relatively low pressure of the initial ammo used. I think that 98% of these problems can be fixed by following the instructions in Sully's and Dano's posts. And BR JuJu had the bolt open test nailed. I'm just going to copy and paste them in the future and take credit. My 10.5" Rainier barrel was undergassed with .223 and my Law Tactical folding kit (buffer extension adds weight). Enlarged the gas port .005" to .081" and it ran flawlessly. Now with the folder removed and a standard carbine buffer, I'm using a Micro MOA adjustable gas block with a .078" port and it also runs flawlessly. I wouldn't be scared of opening the gas port a bit if you need to, it's not a big deal if you have a drill press or mill (or steady hands).